The works included in the Biennial echo and comment on the conditions of the world in which we live: how we receive our information, how we interact – or attempt to – with each other, how we (mis)perceive our world. Clamouring, unfiltered data bombards us. Masquerading commercial and political agendas vie for our attention alongside personal thoughts and images that are more than we can ever possibly absorb. The hyperactivity of text and image begs for our attention. While some artists respond by returning to basic, even primal, forms of image reproduction (fire, shadows, tattoos, gunshots), others embrace the randomness of social media picture boards, the ghostliness of heat-sensitive live-feed video, endless streams of leaked governmental documents, or the brief haikus of the Twittersphere. Curated by Deborah Cullen, PhD. Deborah Cullen, PhD is Director & Chief Curator of the Miriam and Ira D. Wallach Art Gallery at Columbia University in the City of New York. She served as Chief Curator for El Panal/The Hive: 3ra Trienal Poligráfica de San Juan: América Latina y el Caribe, Puerto Rico (2012). Previously, she was Director of Curatorial Programs at El Museo del Barrio, New York, where she was an editor for the 500-page anthology, Caribbean: Art at the Crossroads of the World (El Museo del Barrio and Yale University Press, 2012). Other exhibitions include Nexus New York: Latin/American Artists in the Modern Metropolis (2009) and the internationally traveling project, Arte no es Vida: Actions by Artists of the Americas, 1960-2000 (2008-2011) for which she received an Emily Hall Tremaine Exhibition Award. She curated Retro/Active: The Work of Rafael Ferrer (2010), and authored the monograph Rafael Ferrer (UCLA, 2012). Cullen wrote her dissertation on the Jamaican-American master printer Robert Blackburn, who founded The Printmaking Workshop in New York in 1948. 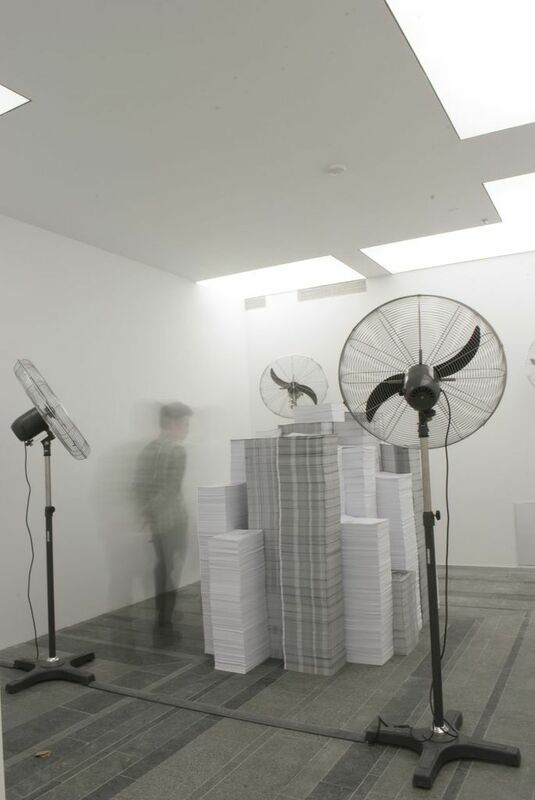 She was curator of the Printmaking Workshop Print Collection from 1993-1996, and arranged the acquisition of 2500 works from these holdings by the Library of Congress, Washington, D.C.
André Komatsu, Construcao de Valores (Construction of Values), 2012, installation with A4 photocopies and industrial fans, (variable dimensions). Courtesy the artist. 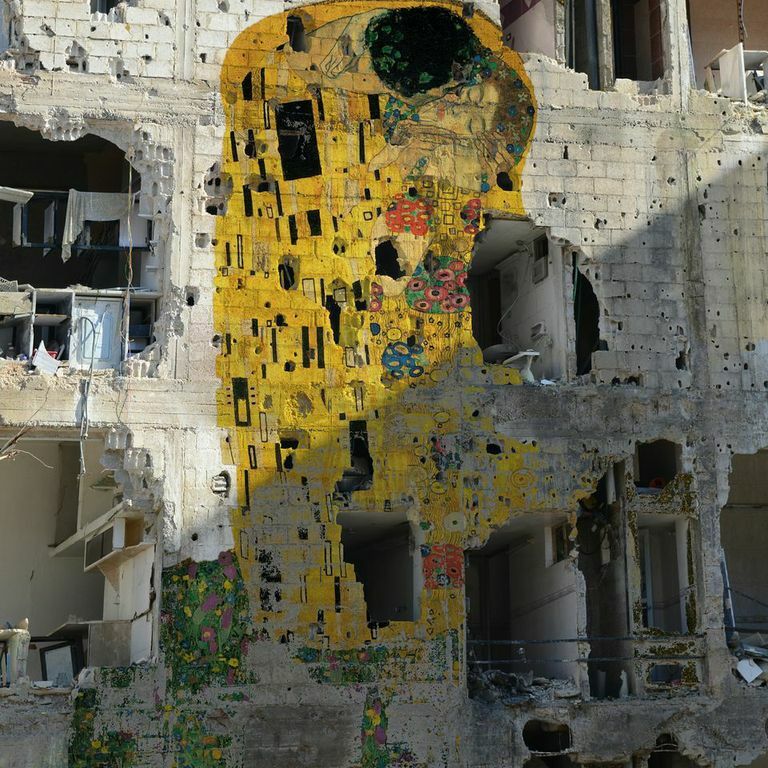 Tammam Azzam, Freedom Graffiti: Gustav Klimt’s The Kiss, 2013, From the 'Syrian Museum' series, Limited Edition Archival Digital Print on Cotton Paper, (112 x 112 cm), Edition of 25 + 2 AP, The Samawi Collection. Courtesy Ayyam Gallery, Dubai. 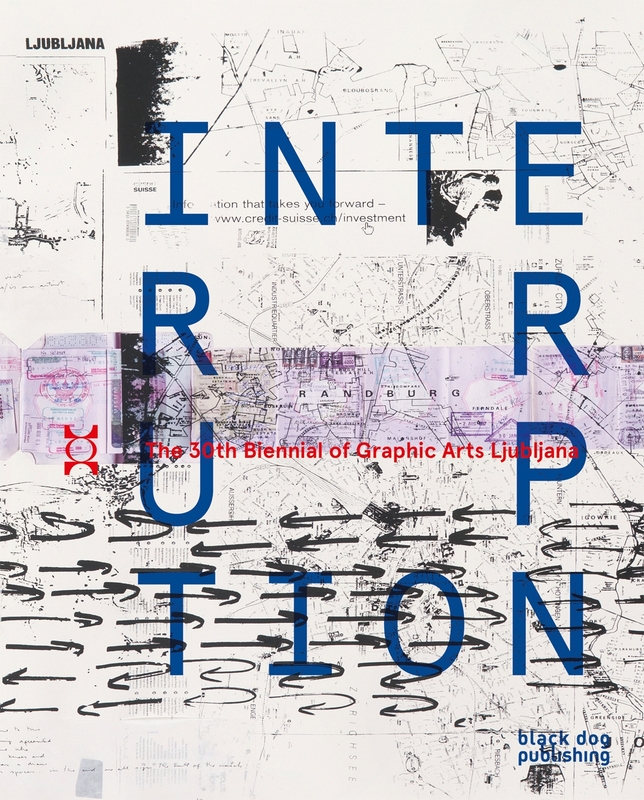 The site-specific commission by artist Charles Juhász-Alvarado is part of the main exhibition of the 30th Biennial of Graphic Arts, Interruption. Juhász-Alvarado addresses passers-by on the Jakopič Promenade with 118 photographs on billboards. Flanking the benches, the images mirror or rhyme to act as a choir. Working with Karen Albors, whose parents are both hearing-impaired, he created a visual sequence that unfolds as viewers walk up or down the esplanade. The artist’s sister, Emeshe Juhász-Mininberg, a writer and translator (working in Spanish and English), collaborated on the ‘lyrics’ related to each image that build the ‘song’. These allude to the images but also weave a cadence to accompany viewers on the path. The Slovene version and design by Mina Fina are yet another partnership, emphasising the counterpoint of languages while foregrounding translation, chance, and exchange. The project depends on universal commonalities to elicit emotional understanding. 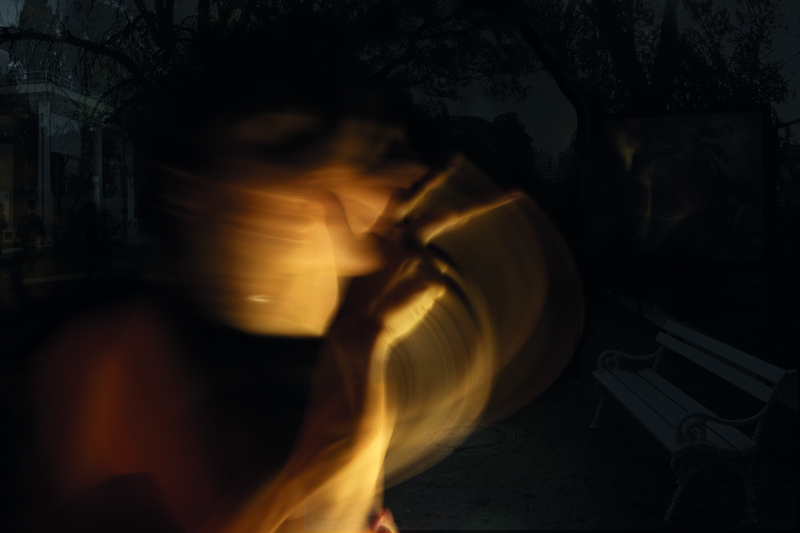 Entre Manos (From Hand to Hand): Cipher, Knot, Nebula, 2013, 118 digital photographs for public poster commission, Jakopič Promenade, Tivoli Park, Ljubljana, 185 x 125 cm each. Courtesy of the artist. Special Mention to Meta Grgurevič and Urša Vidic. Born 1957, Havana, Cuba. Lives and works in New York and Basel, Switzerland. 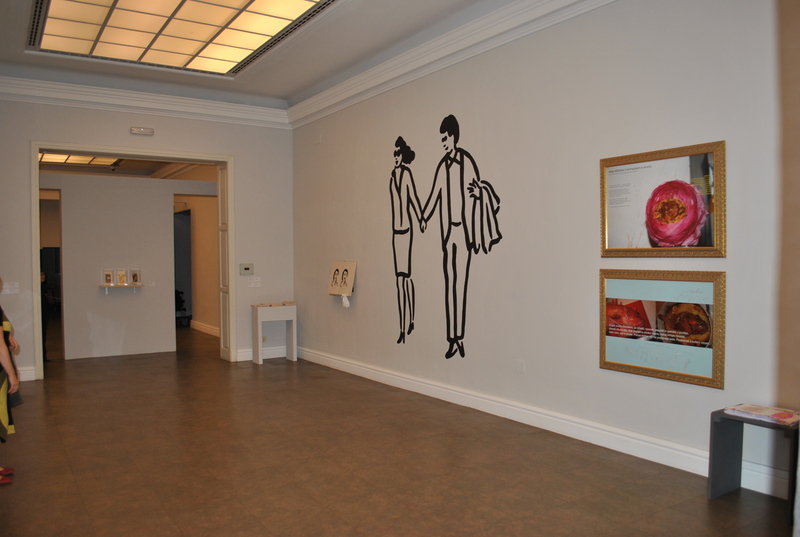 Exhibited at the International Centre of Graphic Arts / Mednarodni grafični likovni center. Meta Grgurevič, born 1979, Ljubljana, Slovenia. Urša Vidic, born 1978, Kranj, Slovenia. Both live and work in Ljubljana; a collaborative team since 2009. 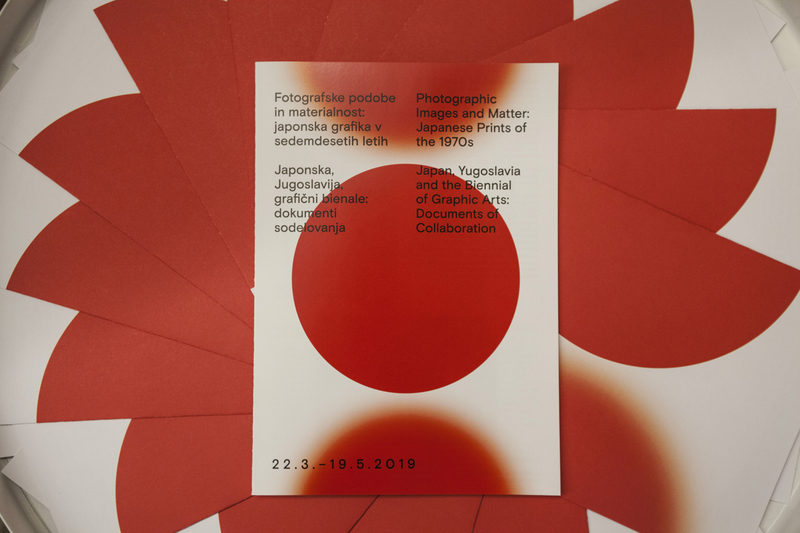 The exhibition presents the history of the Ljubljana Biennial of Graphic Arts from its beginnings in 1955 to the present. The exhibition features archival television footage, personal testimonies and memoirs, letters and other documents that reveal the Biennial’s journey through nearly six decades, with a focus on selected aspects from past exhibitions. Curated by Petja Grafenauer, PhD. 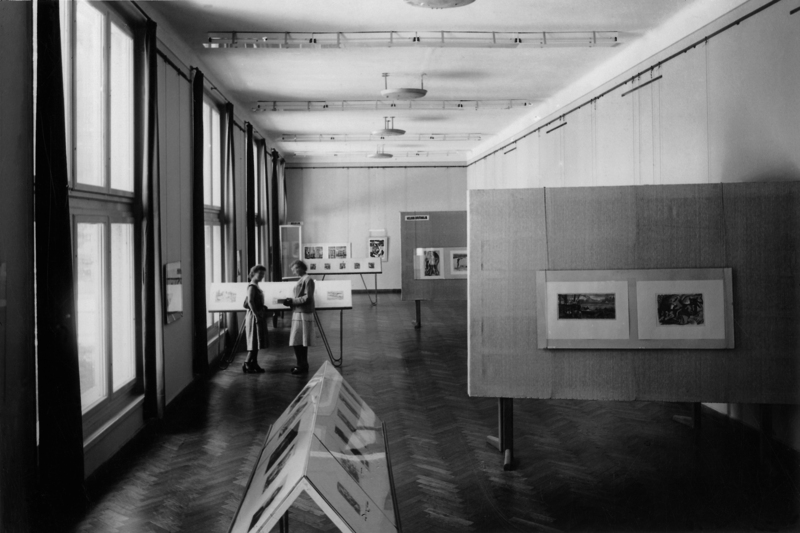 A view of the 1st International Exhibition of Graphic Arts, at the Moderna galerija in Ljubljana, 1955. Moderna galerija archive. The Guatemalan artist Regina José Galindo works in the field of performance, often responding in her art to current socio-political situations, as we saw presented at the 29th Biennial of Graphic Arts. This year’s retrospective exhibition at the Jakopič Gallery takes us on a journey through the poetics of the artist’s oeuvre. Curated by Yasmín Martín Vodopivec, mag. On the occasion that the project Unguarded Money organized by Miklós Erdély in 1956 presented at the 29th Biennial of Graphic Arts was awarded by the jury with “honorary mention”. Miklós Erdély (1928–1986) – artist, architect, writer, poet, and filmmaker – was a major figure in the neo-avant-garde and conceptual art of Hungary. The present exhibition of Erdély’s photo-graphic works, indigo works and drawings has been organised with the co-operation of the Miklós Erdély Foundation (EMA). 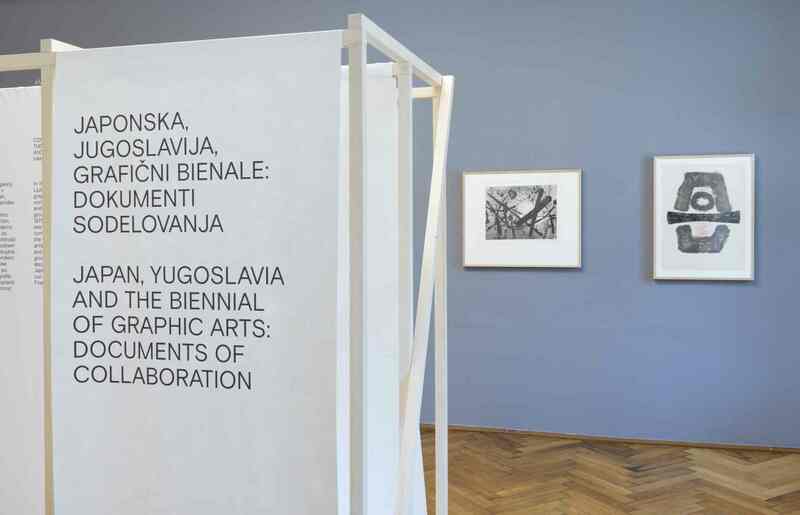 The 30th jubilee edition of the Biennial of Graphic Arts presents Slovenia’s artists also outside the country’s national borders. 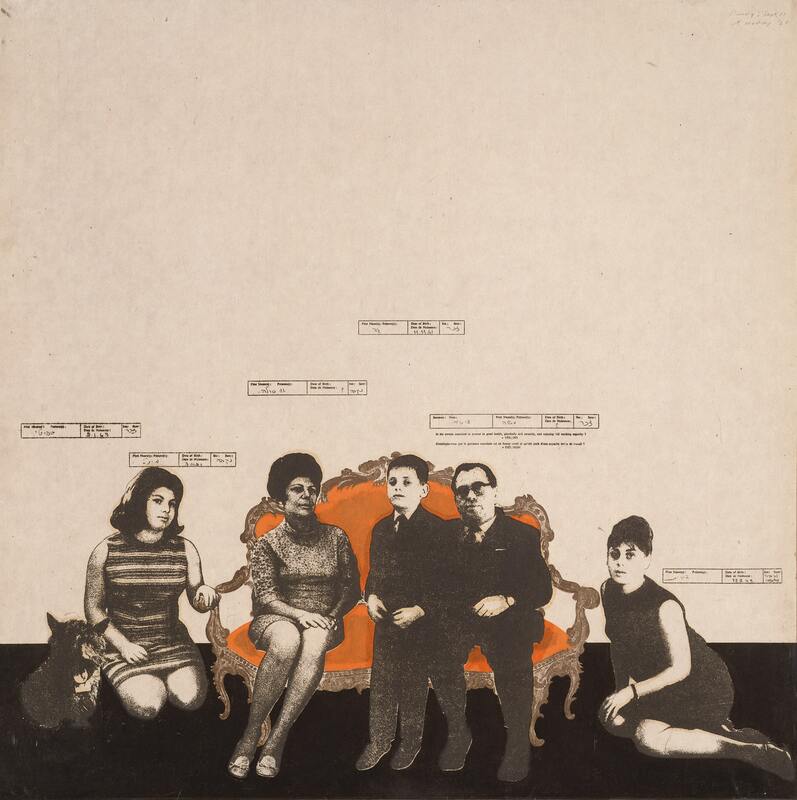 The exhibition, which was envisaged by curator Breda Škrjanec for the Calcografío Nacional in Madrid, is based on the conceptual framework of the expanded notion of the printmaking medium. This provides a dynamic overview of art produced by the middle generation of contemporary Slovenian artists, which includes Vesna Drnovšek, Svetlana Jakimovska Rodić, Tanja Lazetić, Marija Mojca Pungerčar, Sašo Sedlaček, Tomaž Tomažin, as well as two art groups, Pri Zlatem stegnu (The Golden Thigh – Katja Skušek, Nataša Skušek, Mladen Stropnik) and Stripburger. The artworks in the exhibition share a freshness and effortlessness in their selection of medium and current involvement in the universal, individual as well as social situations and dilemmas, touching upon the identity and intimacy of the artist on the one hand, and ecology, social inequality and the dictatorship of the media, on the other. This is why the exhibition easily establishes a dialogue with any curious viewer. 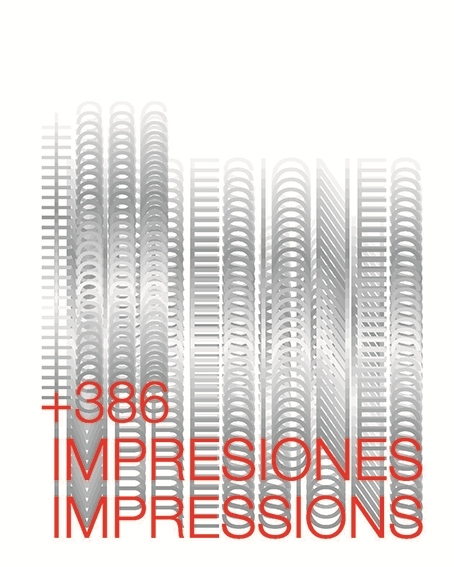 The Impressions +386 exhibition is the fruit of the longstanding cooperation between the International Centre of Graphic Arts, the Hablar en Arte organization, and the Calcografíe Nacional, Real Academia de Bellas Artes de San Fernando in Madrid. With their representative works, established contemporary Slovenian artists present the latest Slovenian production in the field of printmaking, print and art publications, firmly defending their artistic positions and explorations in the graphic medium. The need to redefine printmaking and other reproducible arts keeps the debate alive on the new processes for generating images that coexist with those more traditional, expanding the boundaries of the graphic arts. Although the power of tradition can sometimes still be discerned in the exploration of formal visual elements, the subject matter is mostly concerned with making a commentary on personal experience through universal images translated into visual language. The principles of the creative process are therefore similar, the contents, however, differ substantially given the fact that they embody the original voice of each individual artist. The catalogue includes a foreword by Nevenka Šivavec, an introductory text by Juan Bordes, text by editor Breda Škrjanec as well as a presentation of the participating artists and their biographies and projects. The catalogue is in the English and Spanish language. A collaborative project involving four biennials: The Biennial of Moving Image/Contour Mechelen (Belgium); GIBCA – The Göteborg International Biennial for Contemporary Art (Sweden); The Liverpool Biennial – The UK Biennial of Contemporary Art (United Kingdom); The Biennial of Graphic Arts Ljubljana (Slovenia). New commissioned works by Petra Bauer, Sonia Boyce, Keren Cytter, Louise Hervé & Chloé Maillet, Agnieszka Polska, Marinella Senatore, Dario Šolman, Peter Wächtler. Eight artworks in four different types of locations: business, social, spiritual and recreational. Artists works on themes such as discipline and dissipation, success and failure, guilt and punishment, in response to the meaning of the given location, adding layers, both in content and form, to express its special character. The publication presents the works of this year’s exhibiting artists with full-colour images, situated within a framework focused on the Biennial’s theme of the impact and influence of both traditional and new graphic media within the local and international context. This installation considers the evolutionary graphic field of contemporary times. 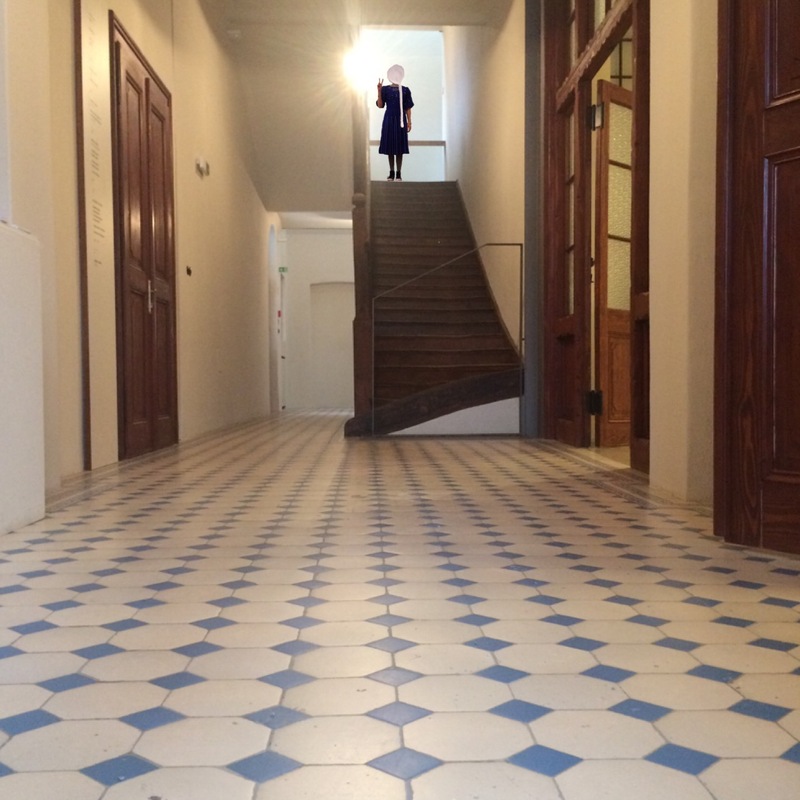 Essays discuss the Biennial’s curatorial focus and other related topics. Dr Deborah Cullen, Curator of the Biennial, introduces this year’s edition, whilst writer and curator Petja Grafenauer covers the Biennial’s 60-year history. These are followed by texts devoted to the winners of the Grand Prize and the Honorary Award of the previous edition of the Biennial: Regina José Galindo and Miklós Erdély. The catalogue is co-published by Black Dog Publishing in UK and MGLC Slovenia. The catalogue has 235 pages, the price is 19 EUR. 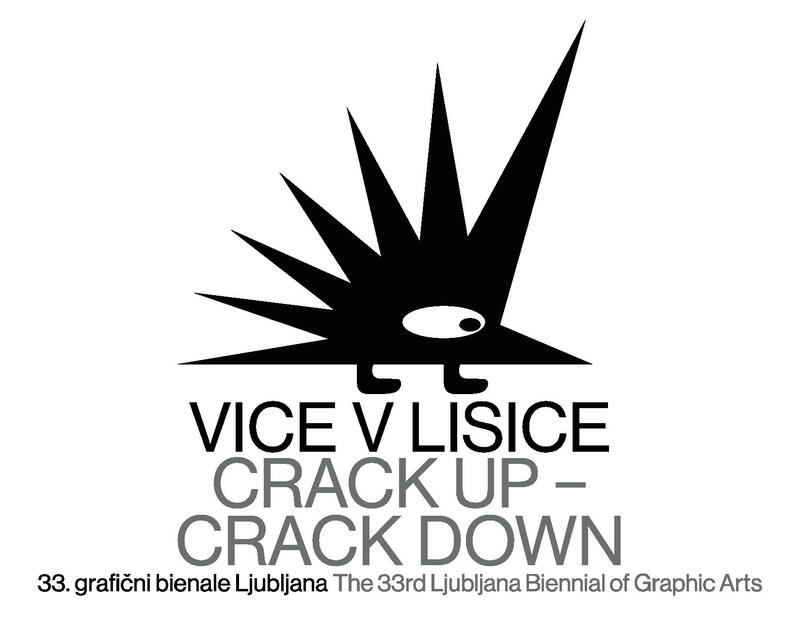 This is an opportunity to actively share your joy of art and printmaking, get involved with the Ljubljana Biennial of Graphic Arts, and become a part of the mission of the International Centre of Graphic Arts. A welcome gift when signing up. All prices include 22% VAT. As part of the Friends of the Biennial Club, we will be developing the special programme Meeting with the Past of the International Centre of Graphic Arts and Tivoli Mansion. 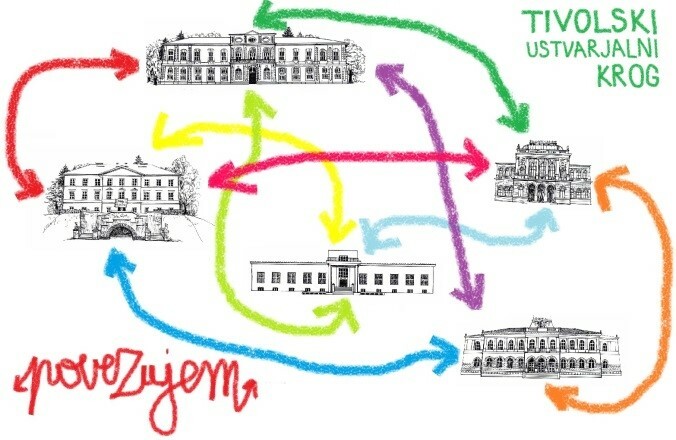 We would like to invite any senior ladies and gentlemen from Ljubljana to explore the oral, written and pictorial sources that will contribute to revealing interesting and not yet fully discovered fragments of the history of Tivoli Mansion and its environs. This will be followed by a public presentation. Activities will begin in 2014. The organizer and producer of the Biennial of Graphic Arts is the International Centre of Graphic Arts (MGLC), which was established on the foundations of the Biennial to serve its needs and has the status of a specialized museum and producer of printed and contemporary art. The director of the International Centre of Graphic Arts is Nevenka Šivavec.